The brake lights on your motorcycle work okay. But they're mounted low on your bike and don't account for different types of braking. 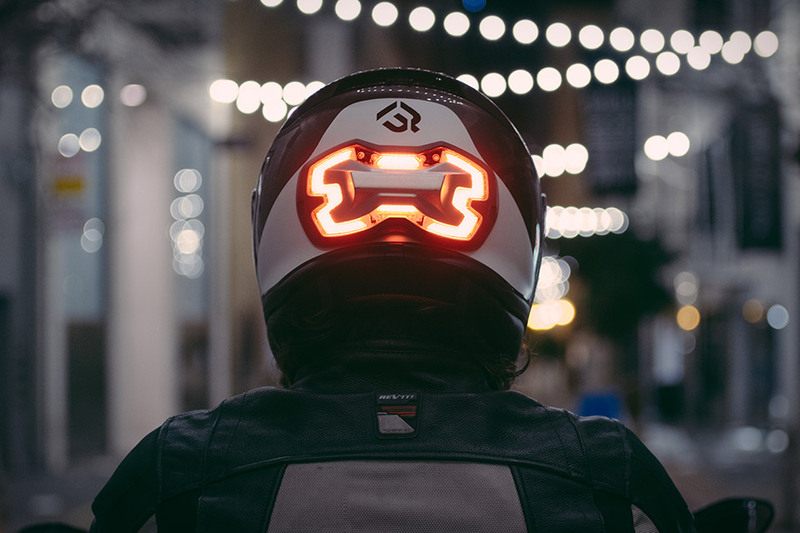 The Brake Free Helmet Light mounts a smart brake light on the back of your helmet, increasing both visibility and functionality. It uses a gyroscope to detect when you're slowing down, responding accordingly to engine braking, regular braking, and emergency braking, the latter of which triggers a special light pattern. It attaches to nearly any helmet using a magnetic mount, offers over eight hours of battery life, and uses 100 LED lights to make sure it's visible day or night. It's also weather resistant, and since it stays lit at all times — only becoming brighter when braking — it makes you more visible to other motorists whether you're braking or not. It's greener than a traditional helicopter. Quieter, too. But most of all, the Volocopter 2X is safer. Thanks to multiple redundant systems, a total of 18 rotors, and a full aircraft parachute in case everything else fails, it's arguably safer than traveling on land. Powered by electric motors, it's controlled by a simple joystick control and has features like automatic altitude control that make it even easier to fly. It can also be controlled remotely, drone-style. It's currently under development and expected to receive approval as an ultralight multi-copter next year. With an ice-classed hull and ability to travel for 30 days without stopping for fuel or supplies, the Vard 1-08 Kilkea Superyacht is meant to be a true globe-explorer. Measuring in at over 250 feet, it has ample deck space, with room for a pool, glass-enclosed dining area, and helipad, while inside it has 18 cabins with enough space for up to 36 passengers. A total of four electric generators and four diesel engines drive two propellers, giving the giant vessel a cruising speed of 12 knots and a top speed of 15.4 knots. Space to stow tenders, smaller water vehicles, and even small planes ensure you can make the final leg with ease. The future of urban commuting is here in the form of the Volta Electric Bike from Pure Cycles. The Volta takes the inconvenience and extra effort out of bike riding, without compromising what makes pedaling to work or for fun so special. It features a 40-mile range on a single charge, a battery that fits stealthily into the top tube, and a motor that fits into the rear hub — so it still looks and rides like a bike. It even has built-in GPS with 24-hour tracking just in case someone decides to take it for a joyride without your permission. The Volta allows riders to enjoy easy, power-assisted riding for effortless errands, carbon-free commutes, and sprinting across town without breaking a sweat. Part bike, part moped, the Scrooser is more than a frame and fat tires. It uses a battery-powered motor to augment your muscle power, letting you hit speeds up to 15.5 mph while constantly analyzing your movements and adjusting accordingly. Hydraulic disc brakes ensure you can stop safely, LED lights keep you visible in traffic, and a display in the middle of the metal handlebars keeps you abreast of battery levels, your speed, and driving mode. Made in Germany, it's available in multiple power levels, road legal and non-road legal versions, and in a multitude of colors, each developed to highlight the strikingly minimal design. Meant to combine the luxury of a tender with the speed of a race boat, the Alpha Centauri Hydroplane resembles a fighter jet for the water. You enter via a jet-like lifting canopy that provides access to the four leather-lined bucket seats and spartan interior with speaker system and Raymarine navigation. The 8.3-meter craft is built using a stainless steel frame wrapped in a lightweight composite shell and powered by a 750 hp, 9.5L Chevy V8. All that power is coupled to a two-stage Scott jet drive, resulting in a top speed of 60 knots, or more than enough to make your next trip out on the water a lot more exciting. Developed by the former and designed by the latter, the PG x Bugatti Bicycle is the ideal two-wheel complement to the four-wheeled Chiron. Made from more than 95 percent carbon fiber, the bike weighs less than 5kg, making it the lightest "special" urban bike in the world. 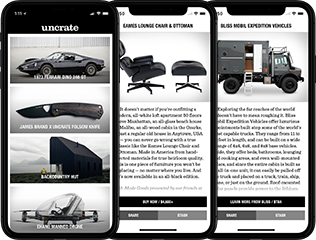 Individual components can be tailored to the rider, and customers of Bugatti can even get theirs built to match their cars. Manufactured by Kussmaul in Germany and limited to just 667 bikes worldwide.